This has been a great year – and all this could not have been possible without the support of all our followers! The Piano Encyclopedia now has students across 35 countries around the world AND we have collected more than 150 testimonials and success stories! We are thankful to all our followers, and all those who wrote us words of support and helped us spread the word! 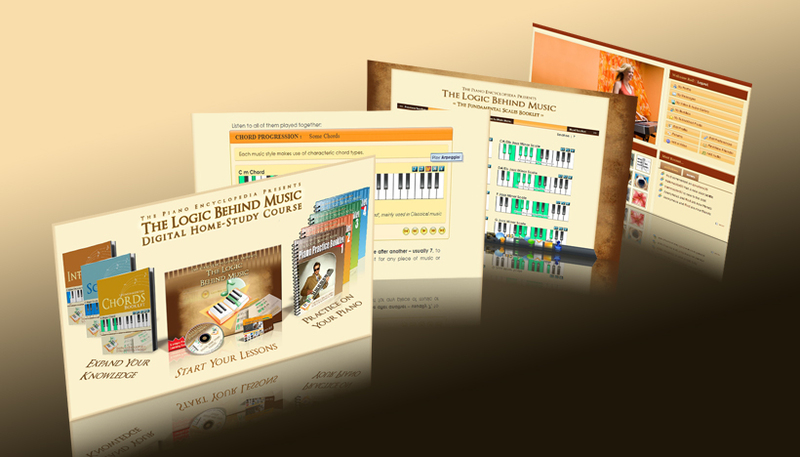 All this positive energy has also motivated us to make some great and tempting updates to our Digital Home-Study Course “The Logic Behind Music” and to The Piano Encyclopedia’s Community; and to thank all of you, we have made all this upgrades FREE for all our existing customers! We have released the two Music Training Suites with fun and entertaining games, namely, The Ear Training Suite and The Sight Reading Training Suite, which will definitely let you master your sight reading and playing by ear skills by practicing chords, intervals and scales. Each has different features that will surely bring you interactive and enjoyable learning. We added a brand NEW Piano gallery with over 1,000 videos! This gallery includes a selection of over a hundred masterclasses from the greatest pianists of all time (Martha Argerich, Daniel Baremboim, Andras Schiff – to name a few) and hundreds of professional piano performances (covering from Chopin, Bach, Beethoven, Schuman, Liszt, Rachmaninoff to Miles Davis, Ray Charles – music for all tastes). We released the FOUR Harmony Books that contain the harmonization of ALL the scales used in Western Music. Each consists of 70 pages interactive lessons with more than 300 interactive piano animations. All of them have different specialties and trainings but they have one purpose – to show and teach you how to harmonize different scales and compose your own music. Overall, the four books ALONE are comprised of 280 pages of content with more than 1,000 interactive animation activities. We redesigned our Community and made it look superb! We added new features to make navigation easier and more user friendly. And even more, we added hundreds of additional interactive animations to our course and expanded many sections with new lessons. We have heard some marvelous success stories from our dear students. This gives us more inspiration which turns out to be the best thing ever happened at the moment. As we continue to thrive on giving you the best training, we once again, are proud to announce that EVERYTHING mentioned above is now part of our version 1.5.5 update of our Digital Home-Study Course “The Logic Behind Music” and is being given for FREE to all our existing customers! Celebrating Success with our New Video! It also takes the audience through what is inside of the course – the lessons, the piano charts, the menus and all the cool features. Much more, it also brings a sneak peek inside our piano community. This video is also very special to us. We wrote part of the script when the project was just starting, three years ago. It was a very difficult script to produce and so it was impossible for us to make it at that time; however, now with the help of professional voice over talents and filming, today this video is now a reality! + 3000 (Yes! THREE THOUSAND) New Multimedia Animations that will display Interactive Sheet music. This means that you will be able to so you can watch all the multimedia examples on interactive music sheet score in addition to the existing animated piano keyboards. New interactive music games. Next on production line is a very unique animated Circle of Fifths that will teach you how to create your own chord progressions so you can create your own music. The release of The Piano Encyclopedia’s Music Scales of The World interactive book, which will contain all the scales used throughout the world: including all Western scales, Blues and Jazz scales, as well as Spanish, Jewish, Hawaiian scales, all the ragas of Indian music, as well as rare scales used across different centuries. I hope you like what’s coming and feel free to give us your feedback of what you would like to see next!